SNAP shoppers have reason to rejoice because the Fresh Bucks matching program has just announced that they have lifted the $10 cap on matching dollars for SNAP benefits. This is great news for SNAP recipients who shop at the Lake Forest Park Farmers Market! Starting this Sunday, November 5th, 10 AM to 3 PM there is no limit to the number of matching Fresh Bucks that SNAP recipients can receive when you shop at the Lake Forest Park Farmers Market. If you get $20 in SNAP, you get $20 in Fresh Bucks to spend on fresh fruits, vegetables, herbs, mushrooms, and veggie starts. If you get $30 in SNAP, you’ll get $30 more in Fresh Bucks. Wow! Although there’s no limit on the matching dollars, the Fresh Bucks do still expire at the end of the year, so you won’t want to get more than you can use at the remaining markets. 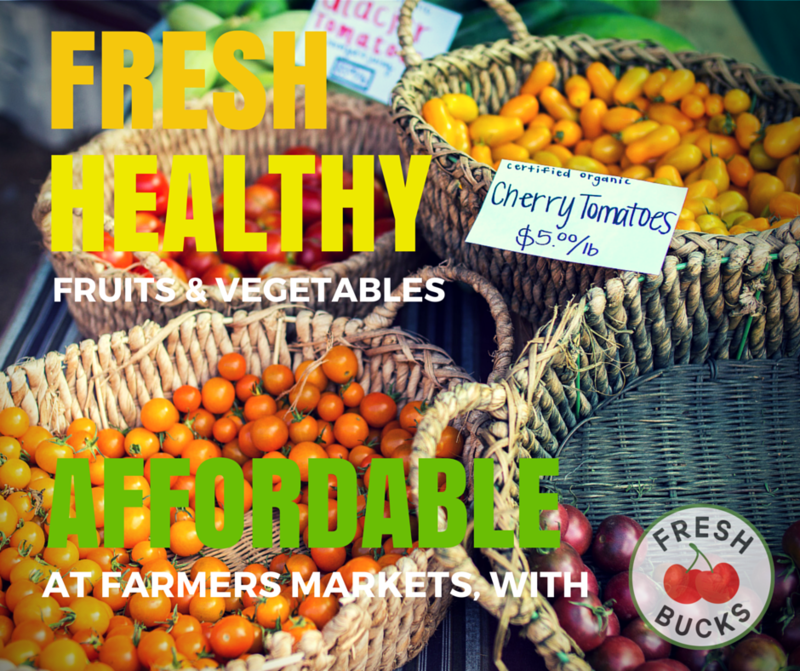 And remember that Fresh Bucks can only be used for fresh produce and frozen produce with no sugar added. As a reminder, after the November 5th market, there will be two additional LFP Farmers Markets when you can receive and use your Fresh Bucks on Sunday, Nov. 19th and Sunday, Dec. 10th. 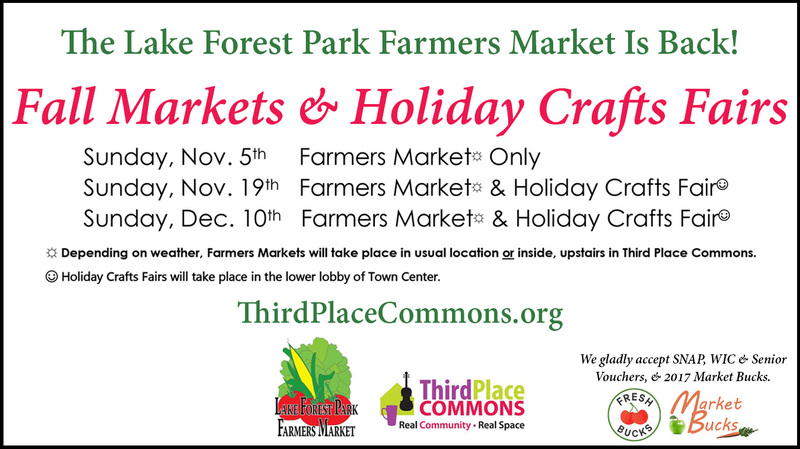 Each of those markets will take place from 10 AM to 3 AM and will be paired with a Holiday Crafts Fair. This Sunday’s market will probably be outside in its regular location, but it could move inside to Third Place Commons. It may be a late call depending on the weather, so if you don’t see the telltale tents outside, head inside to the Commons! Previous Post: Special Fall Markets Start This Sunday, Nov. 5th!